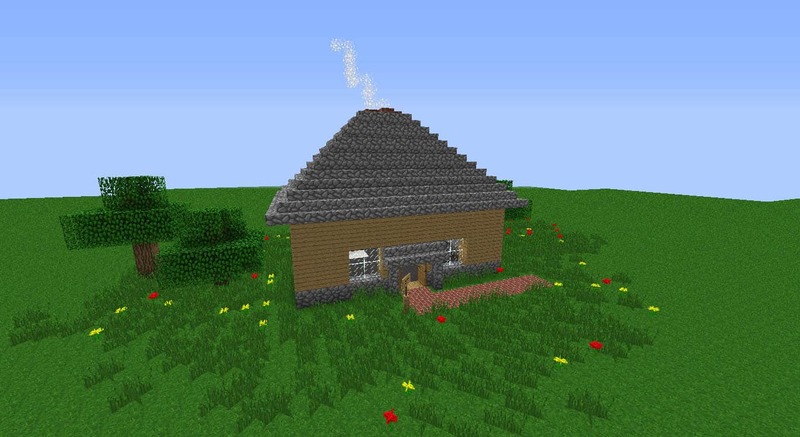 A small but easy little house submitted by Gr33kGodz! It is in a small flat land with a village near by for easy comfort. Soon to be more houses added on and a big house .Very peaceful and caouse for relaxing at any time! An easy build for everyone. You can use this on an adventure map or make something out of this building. You can do what ever you want with this building. It is yours to keep and to build and modify on. Thanks for looking at this build. More to come and modify on. Download link below! An idiot could build this without looking. Why is this on here? You don’t have to be so rude. There are probably plenty of reasons why it was posted. It could be just to show the levels of easiness to hard, for beginners, or if someone is to lazy or is to busy. Personally I think the idiot is the one who can’t think of a reason of why it could be on here.